Sit back and enjoy viewing your favorite TV show or your current favorite read with the Emma Charbrown Power Sofa. This living room must-have is wrapped in 100% leather and features contoured back cushions and soft pillow arms. You'll love how the slim padded C-shaped arms wrap snugly around the cozy seats and footrest, creating the perfect nook. Take advantage of the power reclining features, and enjoy infinite positions of comfort with just the touch of a button. 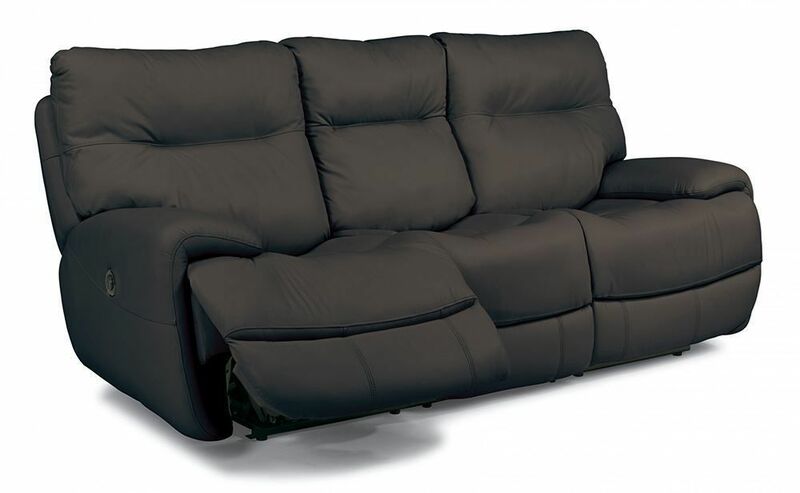 Sit back and enjoy viewing your favorite TV show or your current favorite read with the Emma Charbrown Power Sofa. This living room must-have is wrapped in 100% leather and features contoured back cushions and soft pillow arms.